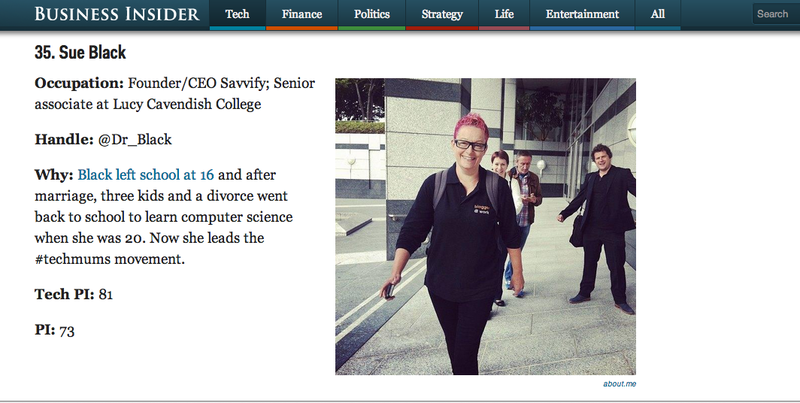 Thanks very much to Business Insider for including me in an awesome line up of women in their “Most Influential Tech Women on Twitter 2014”. I came in at number 35 and am in very prestigious and truly awesome company, with many great friends also on the list. Check out the top 100 compiled with help from Peer Index.